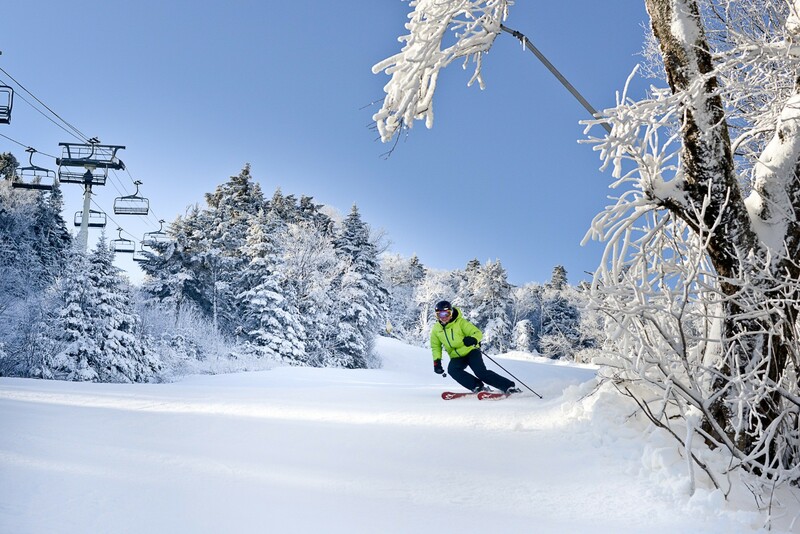 What are the ski conditions like right now at Stratton Mountain? Read commentaries and see photos from fellow skiers and riders sharing their on-mountain experiences. Check back daily for new user-generated firsthand reports from Stratton Mountain to see ski conditions, new snow and general stoke from the slopes along with images. Firsthand reports are submitted via the OnTheSnow Ski & Snow Report App. Download the free app to be part of the conversation. super sloppy today. Still better than a good day at work though... not sure I'd look forward to skiing next weekend if not for anything other than novelty. swampy all over. Excellent conditions today!! Not all lifts open but just about everything is groomed-- awesome skiing. It's worth coming out! Great condition Friday and snowing !! Not good yesterday. Icy and very crowded. I’m wondering how is going to be up there in sat after the rain.. this was my last weekend of ski..
I’m coming up Friday for the weekend (2/29). What are the conditions like?